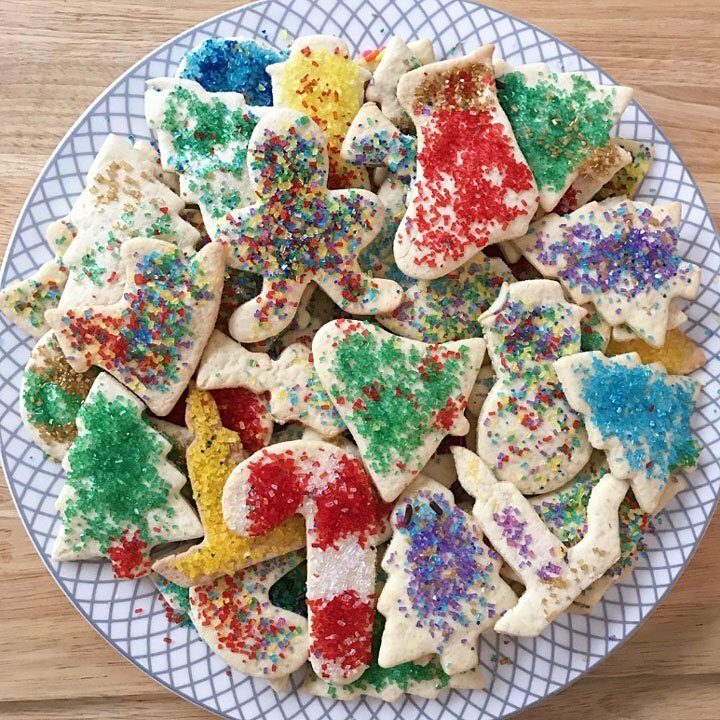 When Christmas and Hanukkah are around the corner, I look forward to sharing our special holiday cookie recipes over the weeks leading up. They are all family recipes that we’ve been making forever. Some date back to my grandmother and her great-aunt — and each has a story. 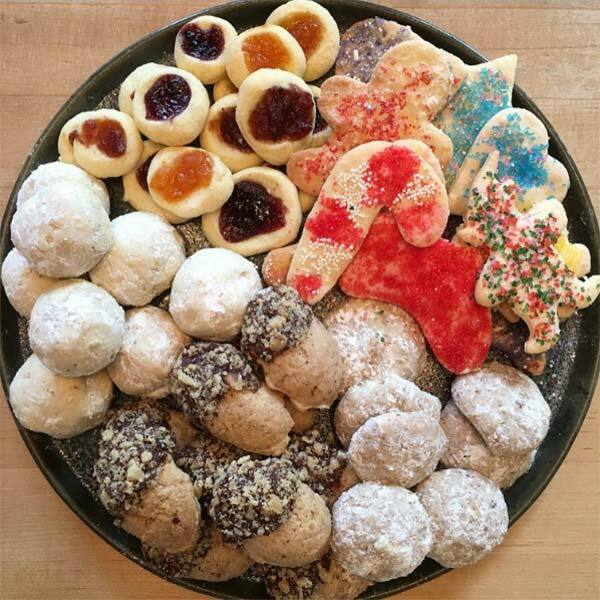 We also have an annual Cookie Baking Day, and it’s one of my favorite days of the holiday season! Cookie baking with longtime friends and family on this special day has been a tradition since I was a kid. The crew here this year included six children who have been baking together since they were babies. Two of them were diagnosed with celiac disease seven years ago, and we’ve been baking our family recipes gluten-free ever since. The original recipes were classic butter and sugar, but all adapt well to be dairy-free and many are easily made vegan too — and are every bit as tasty! And now we make them all gluten-free! … and more! These are all made with GFJules all-purpose gluten-free flour. Each of us has a favorite but they are all SO YUMMY!